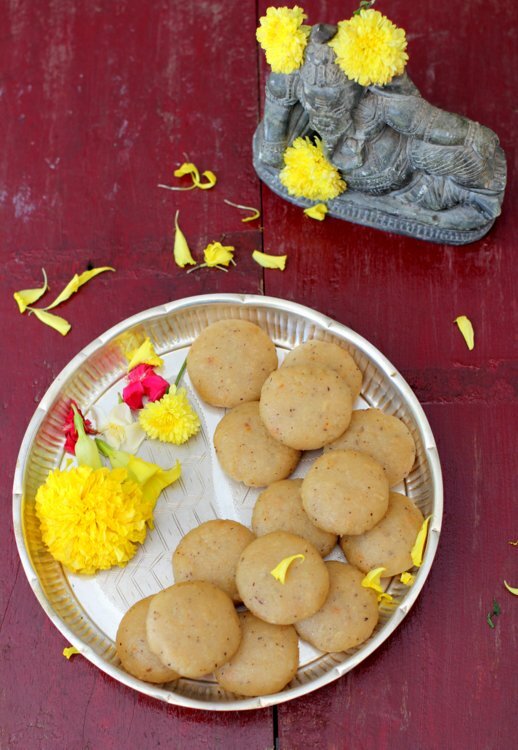 Bellam Kudumulu also called Teepi Kudumulu is a traditional Andhra sweet dish prepared for Vinayaka Chavithi. 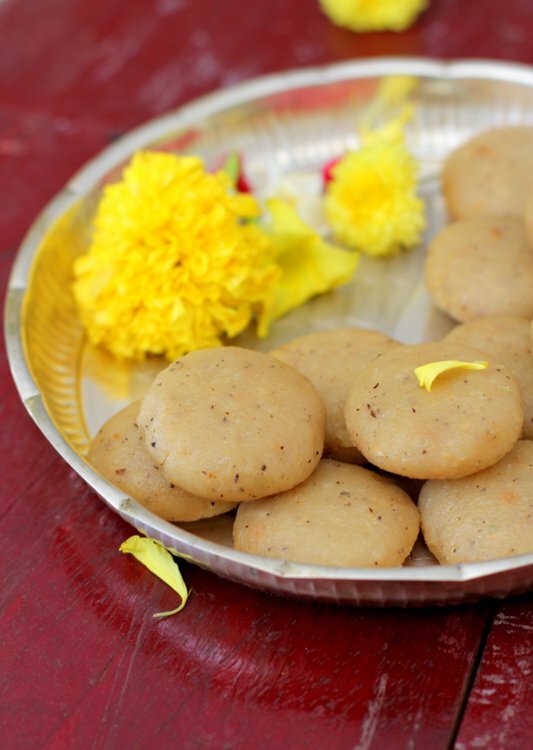 Rice flour is the star player in this popular festive treat that is a favorite of Lord Ganesha. 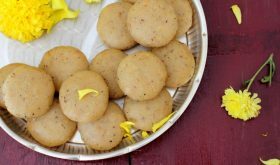 Rice flour, jaggery, coconut and cardamom are cooked together to a gooey mixture that is kneaded before being shaped into flattened discs and steamed. The steamed dumplings scented with cardamom have a subtle sweet flavor and are quite addictive like bellam undrallu. 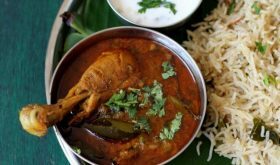 Here are a few more Vinayaka Chavithi recipes Andhra style that you can make for Ganesh pooja 2014. Heat water in a vessel and bring to a boil. Add the jaggery and allow it to melt completely on medium flame. 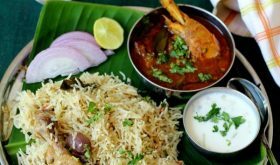 Add grated coconut and cardamom powder and mix. Reduce flame to low, slowly pour the rice flour and keep stirring till mixed. Place lid and cook on low flame for 8 mts. Turn off flame and do not remove lid. Allow to cool till you can handle the heat of the mixture to shape them into balls. Knead the dough and mix the contents well. 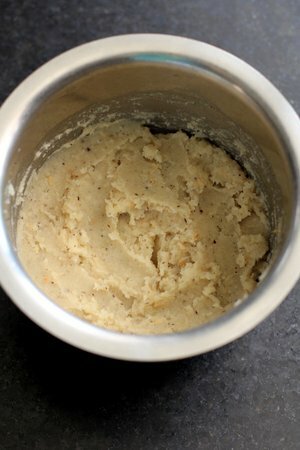 Grease your hands with ghee and shape the mixture into small balls and flatten them lightly as shown in the picture above. 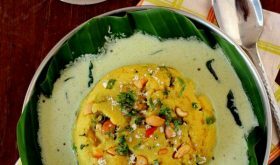 Place the flattened kudumulu on a ghee greased plate or idli plate. 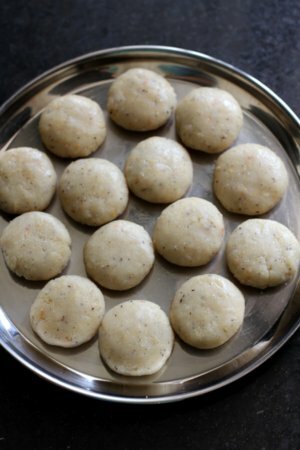 Steam them like you steam idlis without the pressure cooker weight. Steam them for 8-10 mts on medium high flame. Once they are steamed, turn off flame and allow the pressure to ease. 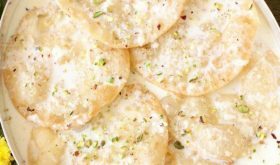 Remove lid, remove the kudumulu and place them on a serving plate and offer them as prasadam to Lord Ganesh on Ganesh Chaturthi. A variation is to soak a fistful of chana dal (Bengal gram) for 20 mts in water and add to the boiling water before adding rice flour. By Sailu Published: August 27, 2014 Bellam Kudumulu or Teepi Kudumulu is a steamed sweet made with rice flour, jaggery and coconut. 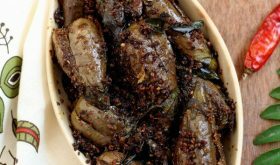 A gem among Vinayaka Chavithi recipes Andhra special dish.